Erin R. Applebaum joined Kreindler & Kreinder LLP in 2017 as an associate. She represents individuals who have been seriously injured due to the negligence of others. As part of the firm's aviation practice, she maintains a particular focus on the representation of passengers who have been injured or killed during the course of air travel. She has been selected to the New York Metro SuperLawyers list as a Rising Star in Aviation and Aerospace law for the past five years. Erin graduated in 2010 from Brooklyn Law School and received her undergraduate degree in 2007 from the University of Miami in Coral Gables, Florida. 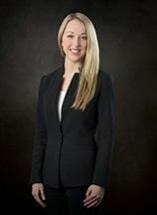 Erin is a member of the the American Association for Justice, the American Bar Association's TIPS Aviation and Space Law Committee, and the New York City Bar Association's Aeronautics Committee, where she serves as chair of the subcommittee on Commercial Airline Casualty.